Congratulations to Wangsoo Cha (University of Newcastle, Australia) who won the Journal of Materials Chemistry A poster prize at the 3rd International Conference on Emerging Advanced Nanomaterials – 2018 for the poster titled Sulfur-doped Mesoporous Carbon Nitride as a High Performance Anode Material for Sodium-ion Batteries. 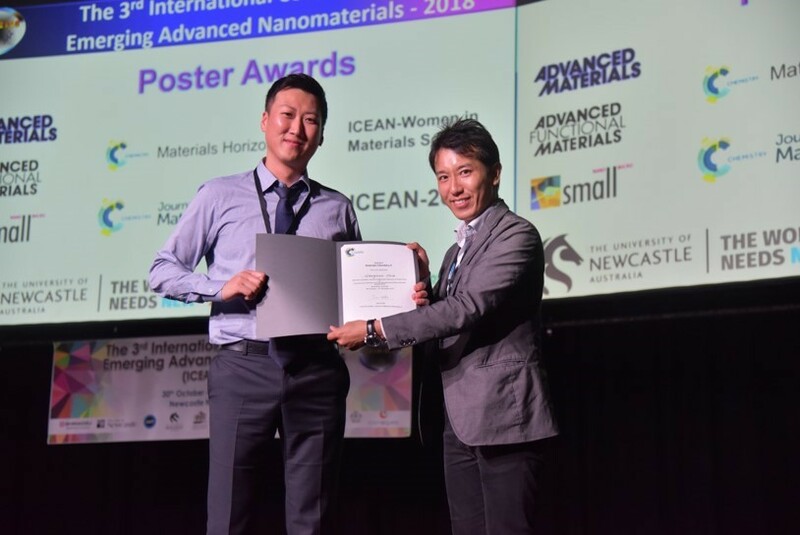 The award was presented by Prof. Yamauchi, Journal of Materials Chemistry A Associate Editor. 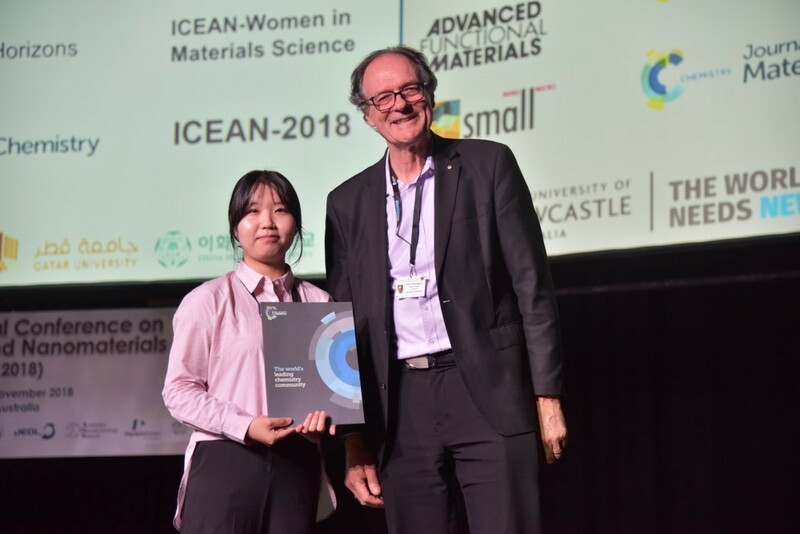 Congratulations to Huiyan Piao (EHWA Womans University, South Korea) who won the Journal of Materials Chemistry B poster prize at the 3rd International Conference on Emerging Advanced Nanomaterials – 2018 for the poster titled Near-Infrared Responsive Pulsatile Drug Delivery Implant On-Demand. The award was presented by Prof. Raston, Fellow of Australian Academy of Science. 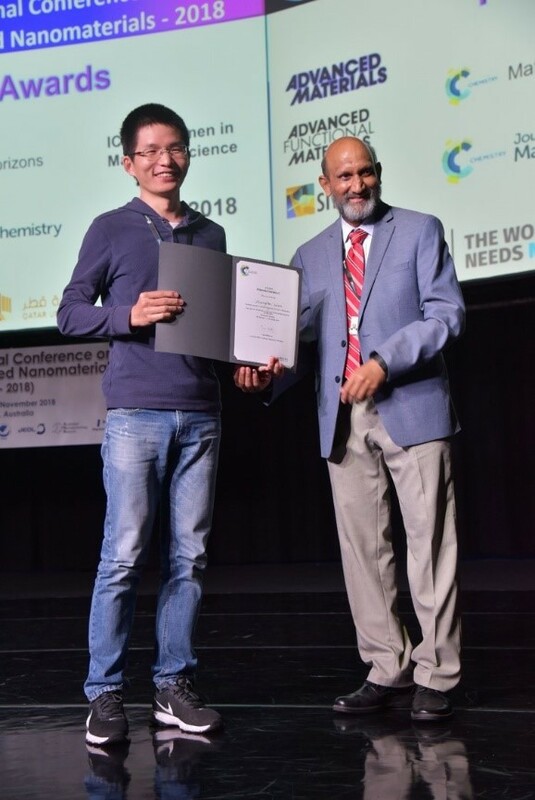 Congratulations to Zhengfen Wan (Griffith University, Australia) who won the Journal of Materials Chemistry C poster prize at the 3rd International Conference on Emerging Advanced Nanomaterials – 2018 for the poster titled Tuning the sub-processes in laser reduction of graphene oxide by adjusting the power and scanning speed of laser. The award was presented by Prof. Jagadish, President of Australian Materials Research Society. 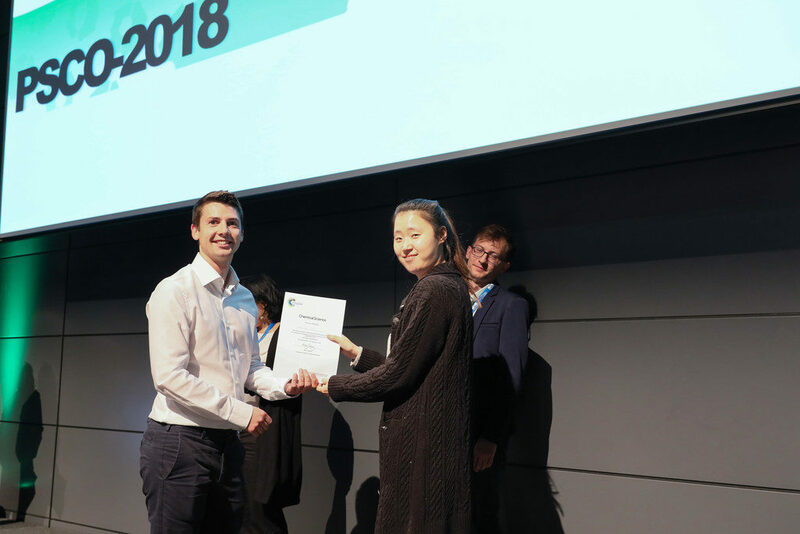 Congratulations to Da Seul Lee (University of New South Wales, Australia) who won the Journal of Materials Chemistry A poster prize at the 4th International Conference on Perovskite Solar Cells and Optoelectronics. We are delighted to announce that Professor Shaojun Guo has been selected as the winner of the Journal of Materials Chemistry Lectureship 2018. Professor Shaojun Guo received his BSc in chemistry from Jilin University (2005), PhD from Chinese Academy of Sciences (2010), worked as a postdoctoral research associate at Brown University (2011-2013) and as a prestigious Oppenheimer Distinguished Fellow at Los Alamos National Laboratory (2013-2015). In 2015, he joined the college of engineering, Peking University. 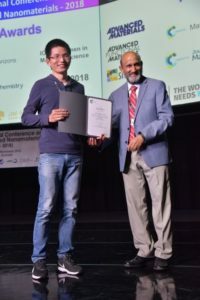 Professor Guo has received many awards including Clarivate Analytics World Highly Cited Researchers (2014, 2015, 2016, 2017), Fellow of the Royal Society of Chemistry, Elsevier Chinese Most Cited Researchers, International Society of Electrochemistry (ISE)-Elsevier Prize for Applied Electrochemistry, Young Analyst Prize of China and Young Scientist Prize for China Electrochemical Society, etc. Professor Guo has published more than 100 papers in Top Journals with over 24000 citations (H-index: 81). His current research interests focus on materials chemistry for catalysis, battery and sensor applications. 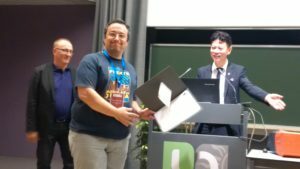 Congratulations to Mr Philipp Lang, Ms Lingjun Kong and Mr Naoki Ogiwara, winners of the Journal of Materials Chemistry A poster prizes at ICCC-2018-S3: Coordination Chemistry for Energy and Environment. ICCC-2018, the 43rd International Conference on Coordination Chemistry, was held in Sendai, Japan from the 30th of July to 4th of August 2018. Awards were presented by Journal of Materials Chemistry A Advisory Board member Professor Jing Li. 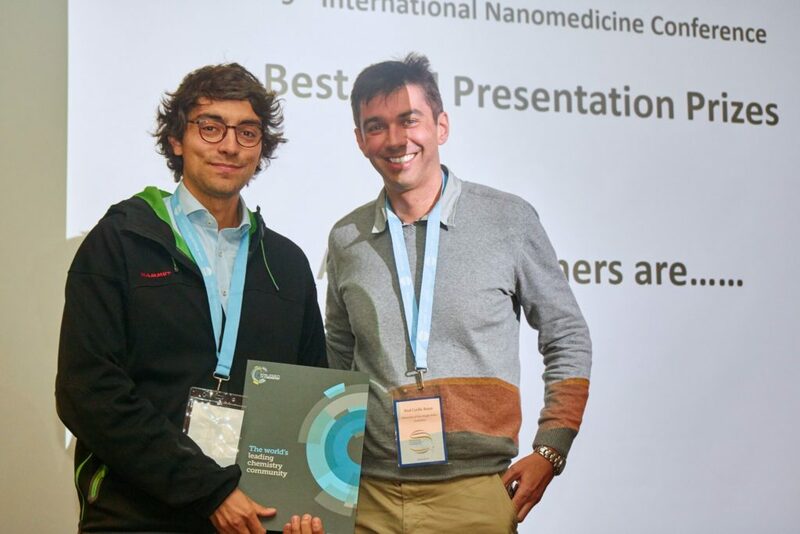 Congratulations to Dr Carlos J Bueno-Alejo (Universidad de Zaragoza, Spain) who won the Journal of Materials Chemistry B poster prize at ACIN 2018, the Fourth International Conference on Advanced Complex Inorganic Nanomaterials. Dr Bueno-Alejo was awarded the poster prize for his contribution on the in situ deposition of plasmonic gold nanoparticles for photocalytic applications. 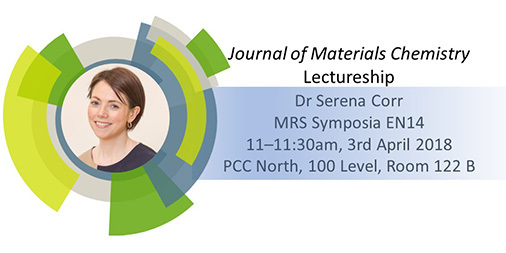 We are delighted to announce that Dr Serena Corr has been selected as the eighth winner of the Journal of Materials Chemistry Lectureship. Dr Corr is hoping to present the lectureship at the 2018 Spring MRS in Phoenix Arizona, April 2018, during Symposium EN14 – Materials Science and Device Engineering for Safe and Long-Life Electrochemical Energy Storage where she is an invited speaker. Dr Corr received her BA and P.h.D in Chemistry from Trinity College Dublin, Ireland, where she held a Teaching Fellowship for 4 years. After a bursary award to attend the ICMR-ICYS Nanomaterials School (NIMS, Japan), she moved to UC Santa Barbara to carry out her postdoctoral work with Professor Ram Seshadri. Serena is currently a Reader in Physical Chemistry at the University of Glasgow, and has held visiting professorships at UC Santa Barbara and Otago University. Her group’s current research on the design, synthesis and characterisation of functional nanomaterials for applications in energy and the environment is especially motivated to understand the intimate structure-property interplay, a cornerstone in the rational design of materials. In addition to regularly making invited, keynote and plenary contributions at international conferences, Dr Corr is committed to the promotion of chemistry at all education levels. She is an active member of the School’s Chemistry Outreach Group in the UK, delivering lectures and demonstrations to schools, teachers and the public. She has also taken an leading role in outreach programmes such as Salter’s Science Festival, the BA Festival of Science, and the Royal Dublin Society Science Live event. Dr Corr is an Associate Editor on Nanoscale, and is on the Editorial Board for Nanoscale Horizons. 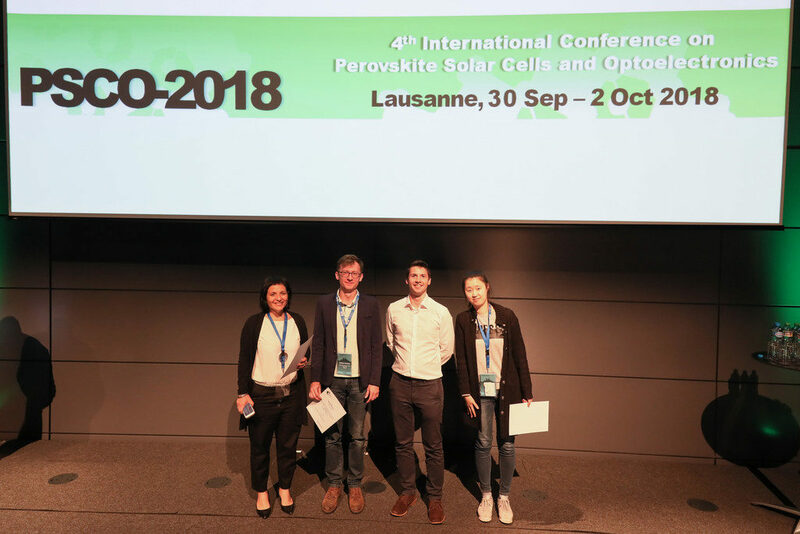 Congratulations to the winners of the Journal of Materials Chemistry B poster prize at the 13th International Conference on Materials Chemistry (MC13). The poster prize was awarded to Rosie Jarrald, Scott Bird, Joanna Galloway, Andrea Rawlings, Graham Leggett and Sarah Staniland from the University of Sheffield, UK for their poster titled: “Production of magnetic nanoparticle arrays on surfaces from solution using top-down patterning and bottom-up biotemplating for future nanodevices”. 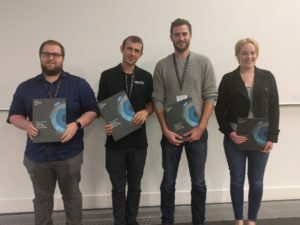 Many congratulations to Luke Hedley and Diego Rota Martir for winning the Journal of Materials Chemistry C poster prizes and to Georgina Shillito and Isaac Etchells for winning the Dalton Transactions poster prizes at the Applications of Photoactive Coordination Compounds conference. We are delighted to announce that Professor Shizhang Qiao has been selected as winner of the 2017 Australian Laureate Fellowship. 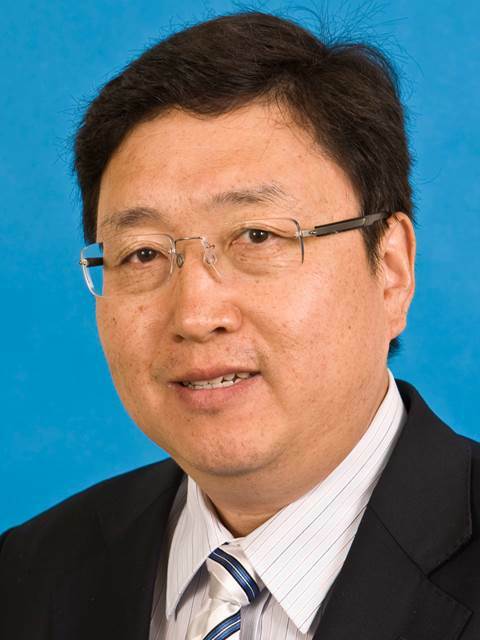 Professor Shizhang Qiao is Chair of Nanotechnology within the School of Chemical Engineering at The University of Adelaide. Professor Qiao’s research expertise is in nanomaterials and nanoporous materials for new energy technologies, such as electrocatalysis, photocatalysis, batteries, fuel cells and supercapacitors. He is an Associate Editor of the Journal of Materials Chemistry A, a Thomson Reuters Highly Cited Scientist and a Fellow of the Institution of Chemical Engineers (FIChemE), Royal Australian Chemical Institute (FRACI) and the Royal Society of Chemistry (FRSC). Professor Qiao’s research achievements have been recognised through numerous awards, including an ARC Discovery Outstanding Researcher Award (2014–16), Emerging Researcher Award (2013, Energy and Fuel Division of the American Chemical Society) and the prestigious ExxonMobil Award (2016). Find out more about Professor Qiao and his research by visiting his profile page on The University of Adelaide website. This project aims to address the efficient and sustainable production of fuels and chemicals using abundant sources like water, carbon dioxide and sunlight by an integrated reaction system. Through understanding molecular design principles and material engineering, this project expects to develop a range of novel electrocatalysts featuring high activity, efficiency, selectivity and stability for carbon dioxide reduction and hydrogen evolution reactions. These new catalysts will facilitate a hybrid reaction cell as artificial leaf mimics by associating photocatalysis and electrocatalysis processes. The expected outcome of this project is of great importance for solar fuel generation and carbon dioxide utilisation, which are the key energy and environmental challenges facing Australia and the world today. This will provide benefits such as an innovative system of solar energy transformation that will lead to the production of fuels and key chemicals in an efficient, selective and sustainable form, ultimately bringing environmental benefits through much smaller greenhouse gas emissions.